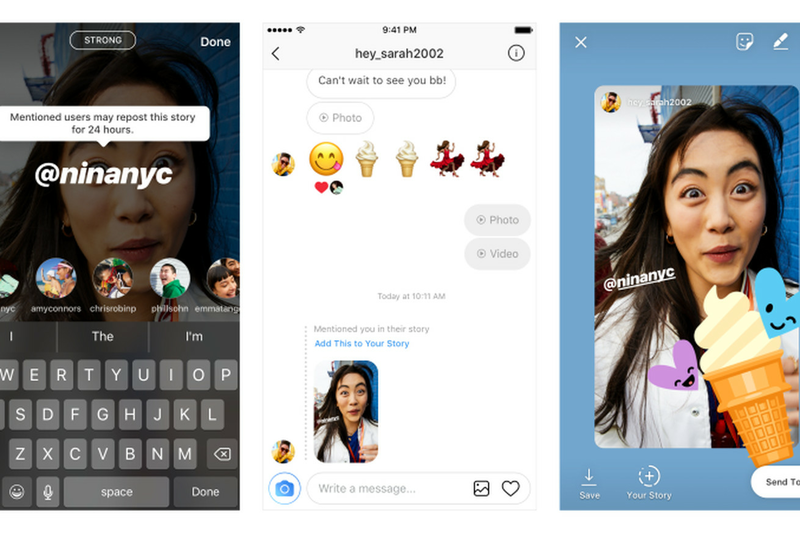 Instagram has announced a slight change to Stories. Now, when someone mentions you in their story, you’ll have the option to instantly repost it, adding the photo or video to your own story. The feature, called @mention Sharing, is initiated when you tag a user in your Story. A pop-up will appear saying, “Mentioned users may repost this story for 24 hours.” The person mentioned will get a notification via direct message that they were mentioned with a link to “Add This to Your Story.” Simply tap and the story will be shown in a preview where it can be adjusted or have text, stickers, and more added to it. When added, followers will see the original poster’s username, and they can tap it to see that person’s profile.